Here's a great looking ladies' adjustable baseball hat. Crimson with a white front insert and bill makes for a very stylish look. 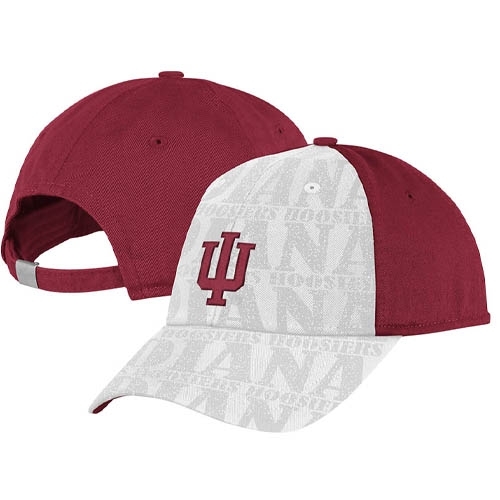 IU is embroidered in Crimson with an all-over glitter team design (Hoosiers/Indiana) on the white sections. The backstrap is adjustable and fits most heads. 100% cotton.